Play five Game & Watch games in their original Classic mode, or in updated Modern mode featuring Mario and friends. Earn Stars by reaching multiples of 200 points (up to 1000) in each game. Stars can be used to unlock extra games and other secret modes. Toad is on hand to provide game hints and tips for each game. 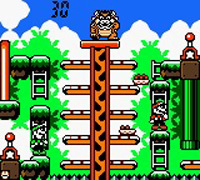 A number of the Mario-themed Modern mode games appear to have been directly influenced by specific games in the Mario series. 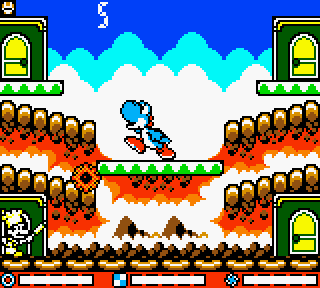 This updated version of Greenhouse is made up of elements from Yoshi's Island. 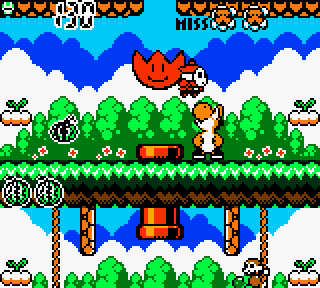 You play as Yoshi, fending off Grinders and Shy Guys from the Yoshi Eggs. The items are Melons and Tulips. This updated version of Egg features Chef Mario and the cookies from Yoshi's Cookie.